The Canadian Dollar picked up the pace on Friday following Canada’s latest employment change reading. The data release which demonstrated that 35,300 more jobs were added to the Canadian economy pushed CAD to USD exchange rates up to around 0.34%. The results will allay some fears that the Canadian economy is slowing slightly following a sluggish few months. Especially a raft of data from Canada and flat interest rates has left investors looking for positives. In recent months Canadian employment has produced mixed results sometimes excelling, other times missing the mark by a distance. One of the Bank of Canada’s objectives has been to see more migration from part-time to full-time roles. In this respect the data fulfilled the objective, October saw 89,000 in full-time work and 53,000 less working in part-time jobs. Regrettably, Canada was unable to produce a brace with the unemployment rate missing the predicted 6.2% rising to 6.3%. The rise was attributed to the younger generation looking for work in October. As the clearest instigator of another Canadian Interest rise the solid labour market will compel the Bank of Canada to consider further Interest Rate rises, especially as the plan of moving people from part-time to full-time roles seems to be taking shape. Markets reacted well to the news and the Canadian Dollar advanced swiftly against the Dollar. The USD/CAD falling from 1.2833 to 1.2721 following the jobs data. CAD exchange rates also gained ground against the Japanese Yen with the Loonie enjoying similar success as with the Dollar. In Friday trading, the CAD/JPY moved from 88.85 to 89.60 following the release of the employment change figures. Next week seeks a handful of mid tear Canadian dollar data, this includes monthly Building permits data; the National House Price Index. 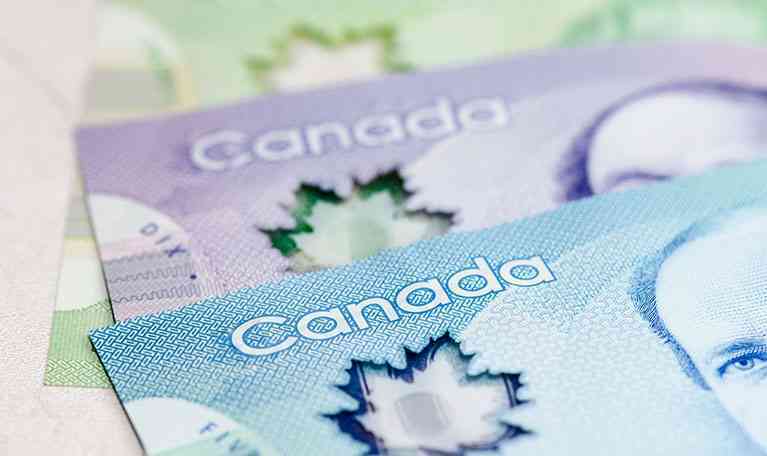 However, the most likely event to fluctuate CAD exchange rates will be a speech from Governor Stephen Poloz, especially if he is drawn into commenting on future interest rate rises, naturally bolstered by the recent employment change data.